April in Houston may bring showers, but it also brings a flood of must-attend society events. Savvy partygoers can look forward to good-hearted luncheons, ultra-chic galas, hip, young professional happenings, an all-American bash honoring a Houston military legend, and a chance to party like a (Houston Zoo) animal. Nab those gowns and tuxes from the tailor, and dust off those cowboy boots: Here, then, are 21 can’t-miss society events for the jam-packed month of April. Chaired by Lara Bell and Roseann Rogers, this event benefits the Escape Family Resource Center, which provides healthy development for their children. Attendants can truly get into the game when they pack this sporting soiree at Union Station in Minute Maid Park. The mission of the Crime Stoppers of Houston Young Professionals Group is to cultivate a new generation of donors and to raise awareness about our mission to solve and prevent crime in the Greater Houston Area. The hip YP Kick-Off Event will be held at the El Pueblito Patio. The Bayou Bend Fashion Show regularly attracts a prime social following of savvy fashionistas. The uber-elegant affair offers a catered lunch in a large, decorated open-air tent. Guests can also save the date for the Bayou Bend Children’s Party on April 6, and the Bayou Bend Garden Party on April 7, both of which takes place in the same tented spot. The 25-year-old COCI organization that benefits No More Victims, a program that helps high school students who have one or more parents who are incarcerated. 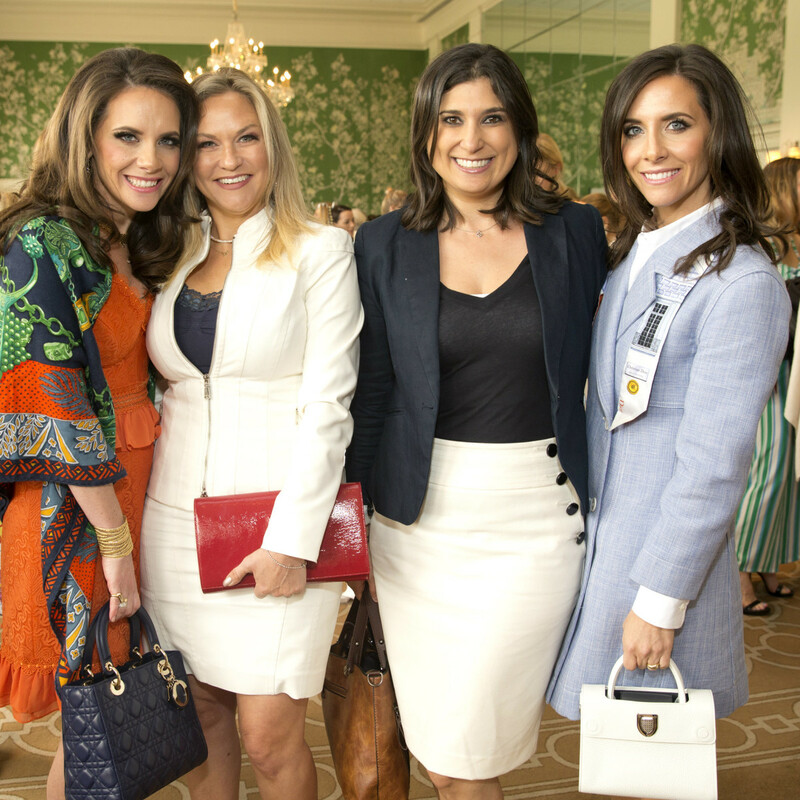 The event, held at the Junior League, is chaired by Franelle Rogers and honorees include Dominique Sachse and Nick Florescu, restaurateur Ben Berg, and Arlene Levy. Keynote speaker is Dr. Chris Greeley, director of the Child Abuse Pediatrics Program at Texas Children’s Hospital. The baseball-themed, annual Houston Knuckle Ball: Field of Dreams, supports research of brain aneurysm, AVM, and hemorrhagic stroke research and awareness. The ball will honor top surgeons who are relentless in their work against these often devastating attacks. The Knuckle Ball will be thrown at the Ballroom at Bayou Place and is chaired by Tricia Bonilla Harrison, a survivor herself. Reminiscent of the “Party of the Century” hosted by Truman Capote in New York City in 1966, the SPA Black & White Ball will celebrate 50 years of the SPA. Expect inspiring cuisine, performances by the cast of Chicago, and music by Empire6 band at the Wortham Center. Guests are advised to wear formal attire and even masks. Each Sky High for Kids event offers fashionable ladies the opportunity to mingle, enjoy light bites and cocktails, and raise money to help fight pediatric cancer. This year’s stylish soiree features guest Sonja Morgan from The Real Housewives of New York and will be held at Chapman & Kirby. 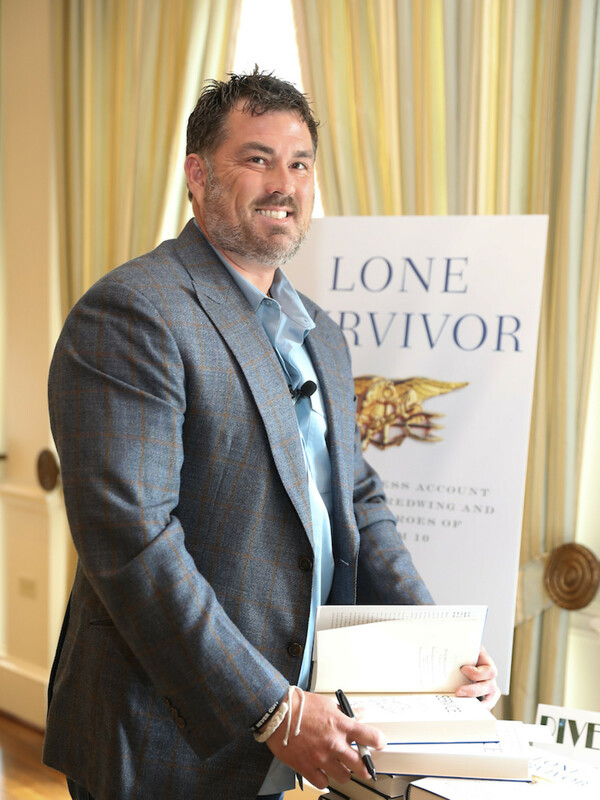 Socially minded Houstonians, military supporters, and music fans are invited to party with country star Cory Morrow and honor local military hero Marcus Luttrell (known to many from the book and film Lone Survivor) as well as Shell Deer Park at this rousing benefit for the Battleship Texas. Ticket purchase includes free barbecue and an open bar. The boot-scootin’ party takes place at Armadillo Palace. Football is the theme here as founding chairmen Hannah and Cal McNair (of the Houston Texans) join founders Ericka and Garrett Graham and Ecclesia’s Chris Seay. 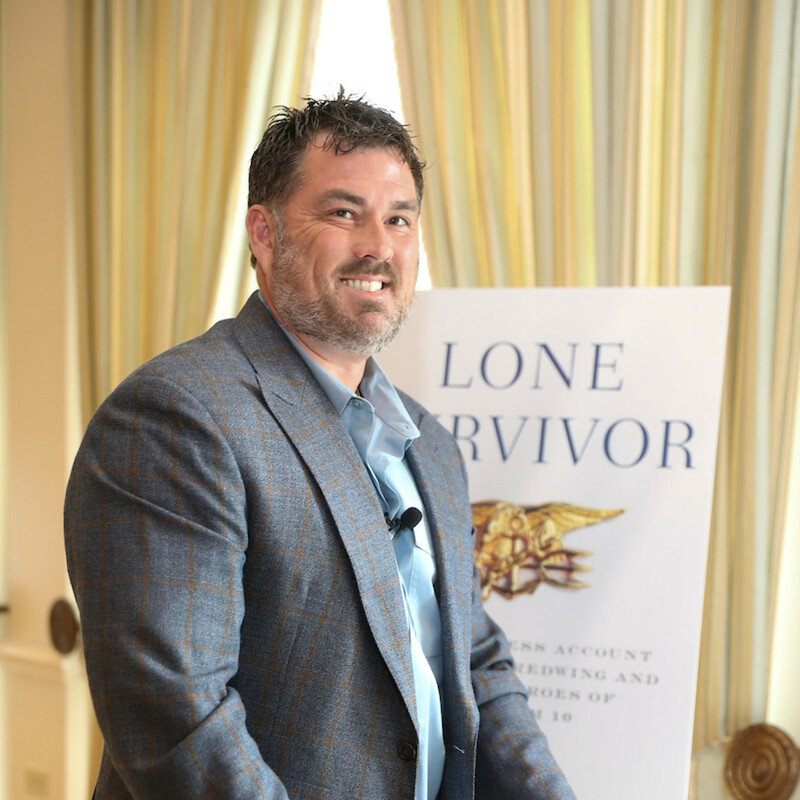 Expect a host of Houston Texans past and present at this event that benefits Project 88, which connects kids to advancement and opportunity. 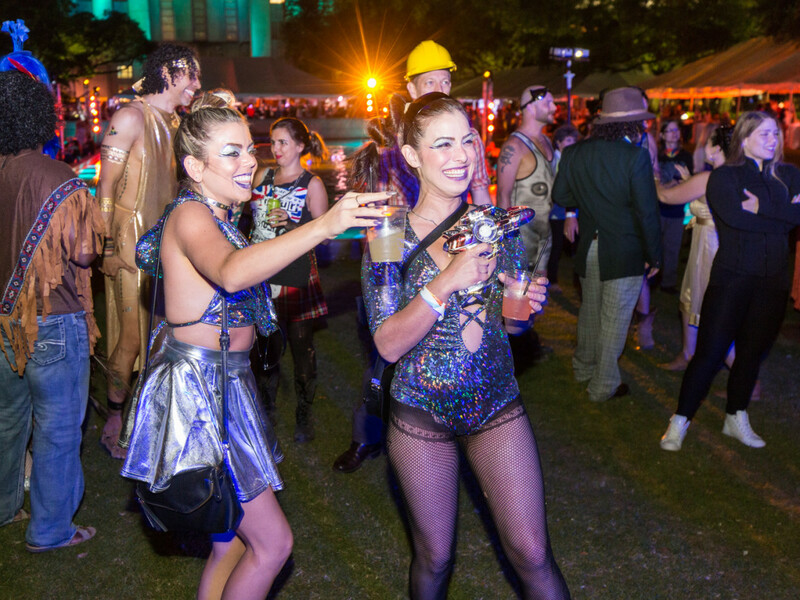 One of the wildest — and most colorful — parties in Houston, the Legendary Art Car Ball at Hermann Square sees outrageous costumes, live music, performance art, and the now-famous art cars. Locals should save the date for the Houston Art Car Parade on April 13 as well. Nearly 250 colorful art cars, bikes, skaters, and motorized creatures will roll along Smith Street in downtown Houston. This artful affair the CAMH’s 70th anniversary and is co-chaired by Haydeh and Ali Davoudi and Jordan and Dylan Seff. Look for a night of fine dining, cocktails, and a spirited contemporary art auction produced in partnership with Christie’s. The event benefits the CAMH’s programs and allows for free admission daily to the museum. Ladies and gents are invited to the Women of Wardrobe and Dress for Success annual fundraiser. Look for fun raffle packages — including Astros tickets, dinners at restaurants such as Uchi, and more. The vibrant, feel-good event is sponsored by Melissa and Paul Dobrowski, Meg Greenwood Rife, Christine Lafollette, Tiffany LaRose, Sandy and Keith Oden, and Sydney and Jeff Shellebarger. 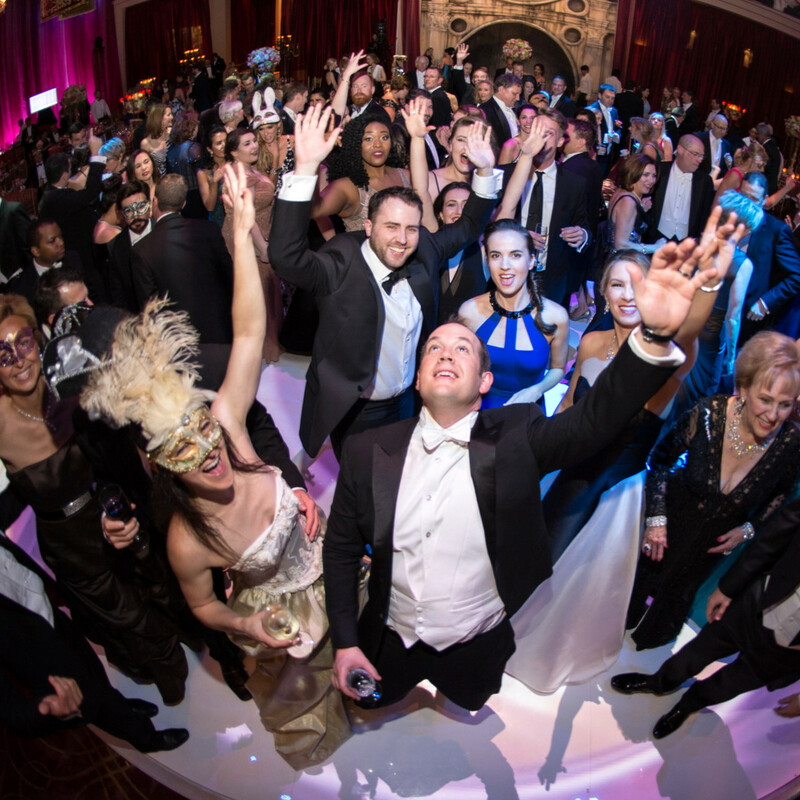 Dramatic and elegant, Opera Ball is always a premier occasion on Houston’s gala calendar. 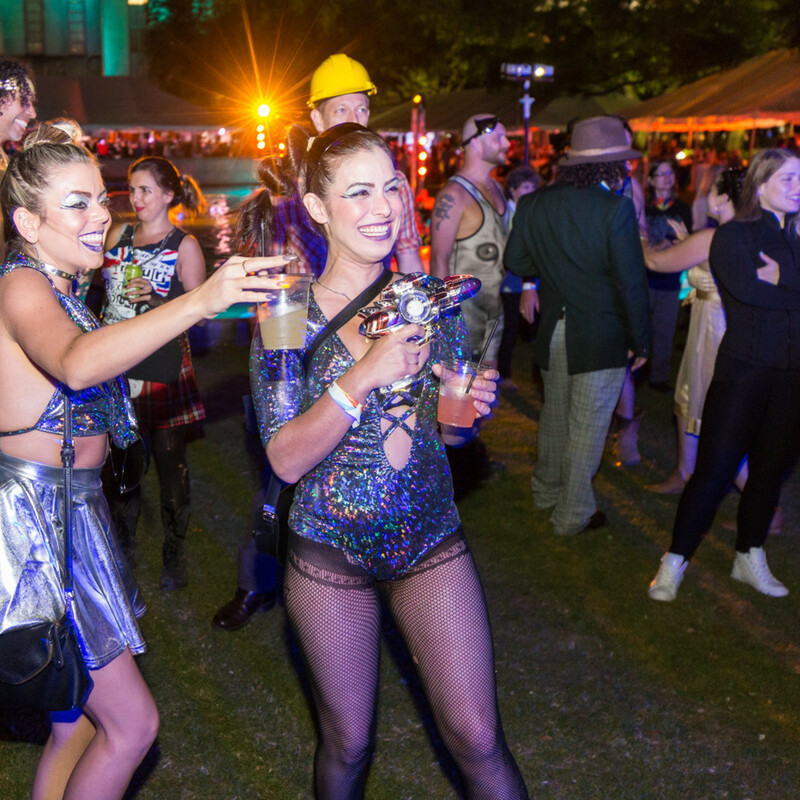 Houston’s A-listers, gliterati, and movers, shakers, and tastemakers will gather at this fete that celebrates Mexico’s rich, vibrant culture and an extraordinary mix of influences and creative collisions at The Revaire. Expect breathtaking and one-of-a-kind gowns donned by local social royalty. Luncheon chairs Kim and Scott David invite locals to join them at River Oaks Country Club to honor The Hamill Foundation. Keynote speaker for the luncheon is Ashley Rhodes-Courter, an internationally recognized motivational speaker, children’s advocate, businesswoman, and author of the riveting books Three Little Words and Three More Words. The Broach Foundation for Brain Cancer Research (Broach Foundation) will host its eight annual Stand-Up for Brain Cancer Gala at the River Oaks Country Club. Guests can expect to eat, drink, and laugh the night away with this year’s featured stand-up comedian, viral sensation John Crist — who boasts 500 million views. Houston Center for Contemporary Craft’s 10th annual Crafting a Legacy Spring Luncheon honors legendary arts professional Clint Willour. The longtime board and committee member has been a boon to the local arts scene for nearly 50 years. Luncheon guests can expect to shop and bid on contemporary craft, centerpiece artworks, and jewelry and accessories. The 2019 Houston Smile Gala will celebrate the hundreds of thousands of life-changing surgeries provided in more than 60 countries around the globe since 1982, as well as the thousands of smiles Operation Smile aspires to deliver this year. Hundreds of guests are expected to pack this formal event at the Hotel Zaza - Museum District. The JDRF Houston Gulf Coast Chapter will host their 20th Anniversary Platinum Promise Ball. Philanthropic community leaders will come together to enjoy a seated dinner, silent and live auctions as well as exciting entertainment from Professor D sure to keep the guests dancing. 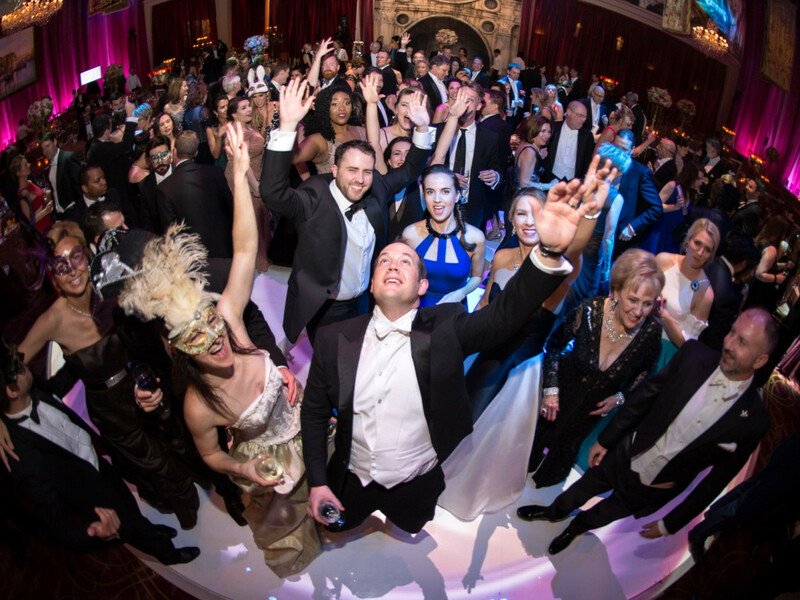 Partygoers are then invited to test their luck as the party continues with the opening of late-night casino games, a champagne reception, open bar and late-night snacks. This rowdy — and consummately Houston — party will see guests trying their hand at Vegas-style gaming and cheering on their favorite piglet during the pig races. Revelers can also enjoy the wine pull, featuring over 300 exemplary bottles of wine and champagne or the jewelry pull featuring Kendra Scott. Guests can dance the night away when Diamond Rio takes the stage, performing such hits as “One More Day,” “Love a Little Stronger,” and “Meet in the Middle.” The wildly popular shindig takes place at George Ranch Historical Park.